Charles created this rebus for his daughter, Lucia, when she was a child. “Some people want a key for it; some don’t,” says Sussman. 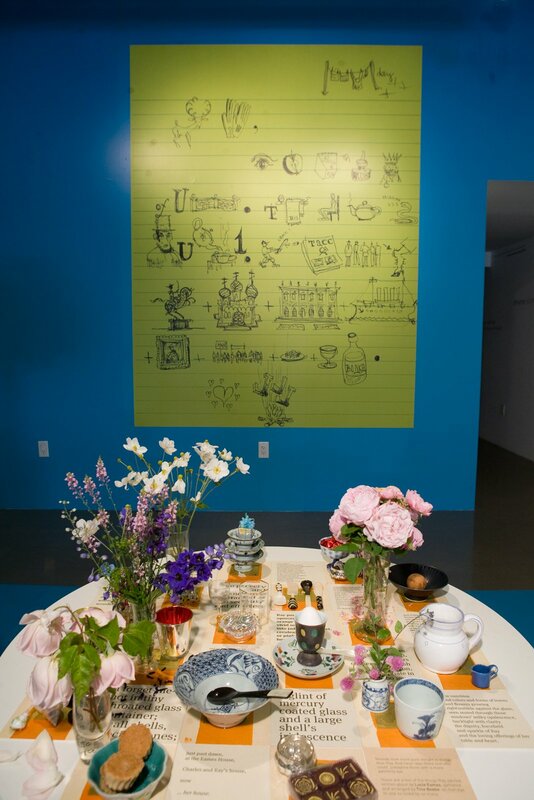 Ray’s table was curated by artist Tina Beebe, who worked closely with Ray in the Eames Office and decorated the surface with the flowers and objects Ray favored.